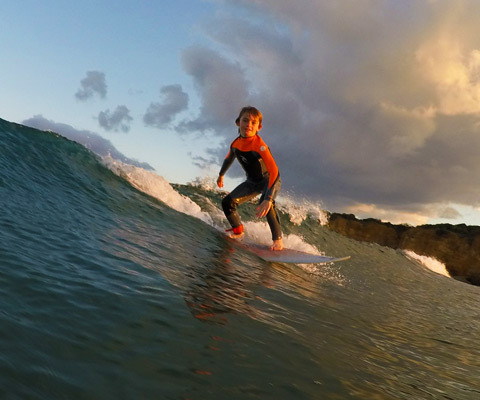 Grom Squad lessons are aimed for beginners to intermediate. They are ideal for ages 6 to 16 years. TSA prides itself in getting ‘groms’ started and giving them maximum time in the water to practice new skills. We provide a safe environment with a fully qualified and enthusiastic coach. Seeing a grom stand on a board for the first time is a buzz for the coach as well as the student! 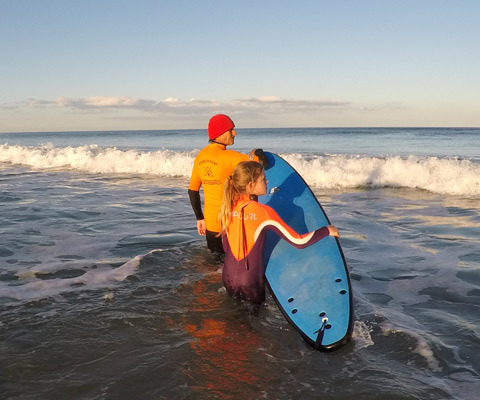 Groms will learn ocean awareness and sun smart behavior but most importantly foundation surf skills, such as catching waves, standing correctly and riding waves into the beach. You never know who might be the next Steph Gilmore or Mick Fanning! We run our sessions early in the morning during the school holidays, to get the best waves and give our groms the rest of the day to practice what they’ve learnt. Our program provides the flexibility for groms to surf one day and rest the next, or pick and choose the days they want to hit the surf. They are not locked into a consecutive daily program. For the best value, you can purchase a pack of 5 sessions and pay for only 4 and then ring the office to book in. If you want your grom to be part of the action, book early as we only do small groups, allowing for maximum instruction and safety. 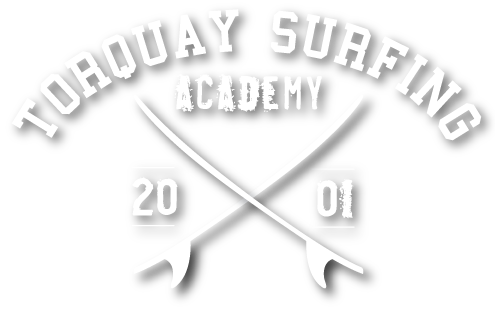 We supply everything that they will need to have fun in the surf If you have any questions, ring TSA and have a chat to Gally or one of the crew.